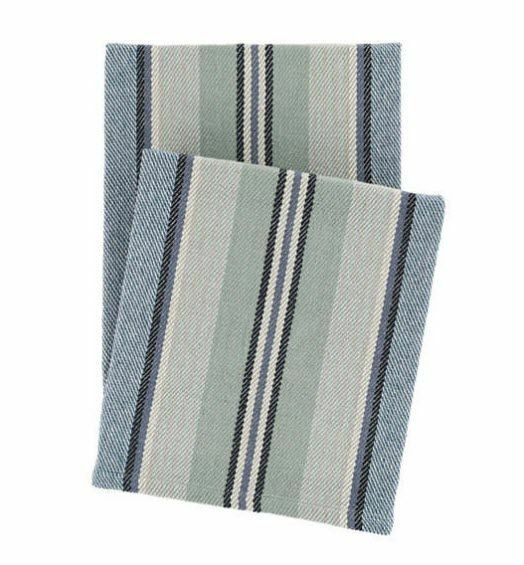 We took island stripes in aquatic shades of blues and greens from our bestselling cotton rug collection and re-interpreted them into a cozy soft cotton throw. Constructed of 100% cozy cotton, our hand loomed throws are crafted with comfort in mind. Reversible, affordable, with an appeal that is absolutely undeniable. Crafted by artisans committed to fair-labor practices. 100% Cotton. Care: Machine wash cold. Do not bleach. Tumble dry low.